I like seeing this brightly colored bird feeder in my garden throughout the cold and grey of the winter! Clay bodies and glaze combinations offer infinite possibilities and choices. 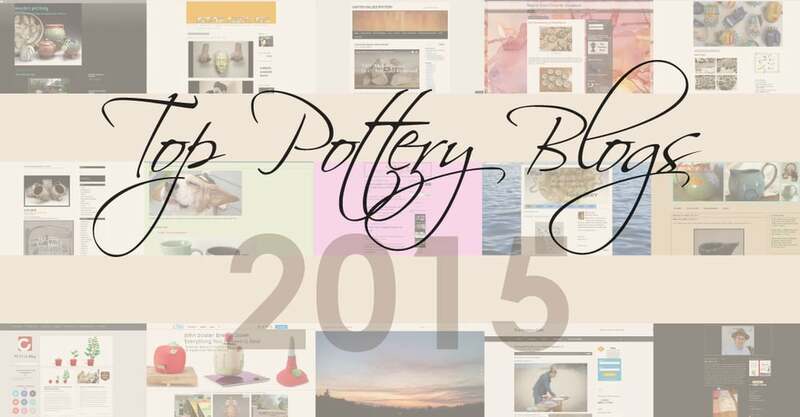 I’ve chosen to work with a type of clay that supports a bright glaze color palette in the mix. The end results make me happy and seem to portray the fun I’m having while creating. For me, a pop of color goes a long way to perk up a table setting or winter garden area. Most recently, I have been layering combinations of color on the surface of the clay. I like how it emphasizes the surface textures and adds an attractive depth to the finished creation. In anticipation of making old favorites and new designs for the garden and table, I’ve been testing fresh color combinations in the studio. The orange base color of these test tiles takes on a different look depending on the top layer of glaze color that is applied. 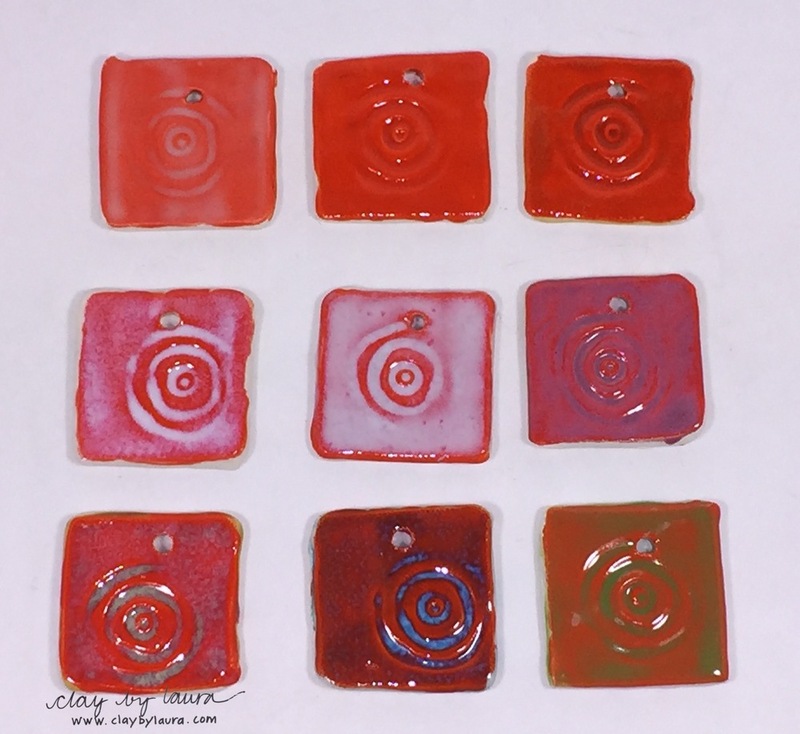 Here I used red base color on test tiles with a variety of glaze colors. This week, I was notified that I was chosen as the Featured Artist for March 2015 by Aftosa -- one of my 'go to' studio supply companies! It was a happy surprise.